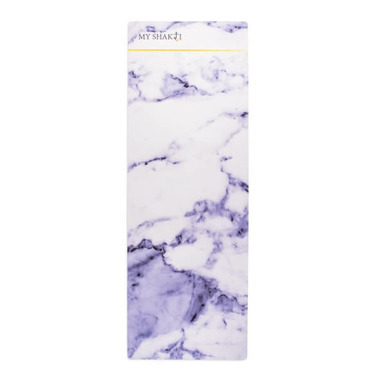 Marble Design - Premium Eco-friendly Mat/Towel Combination Yoga Mat. This mat is designed combining style & performance without compromising the environment. 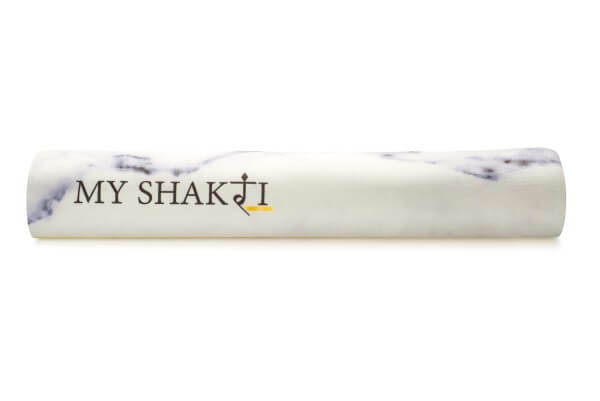 You no longer need to bring a mat AND towel to class- The My Shakti Marble Yoga mat is an all-in-one product that even includes a carrying strap & is machine washable. 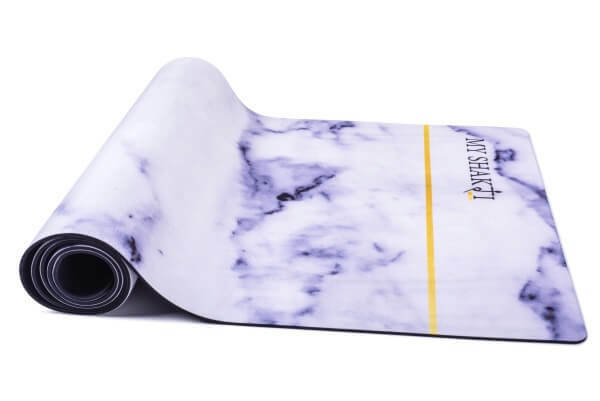 The Stunning design and absorbent suede microfiber is bonded to a natural tree rubber base that gives you the sweaty grip of a towel and cushiony feel of a yoga mat. Perfect for Yoga, Hot Yoga, Vinyasa Yoga, Bikram Yoga, Pilates, and general exercise - The mat grips better the more you sweat! 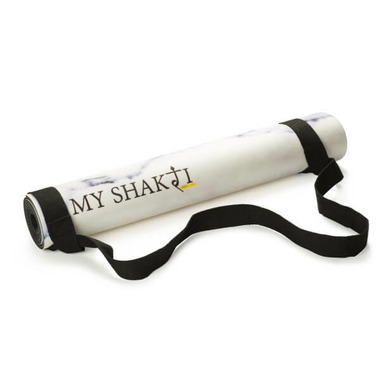 Comes with durable carrying strap that can be used as a yoga strap prop. Machine wash alone with or without detergent on gentle cycle in cold water - do not use bleach!